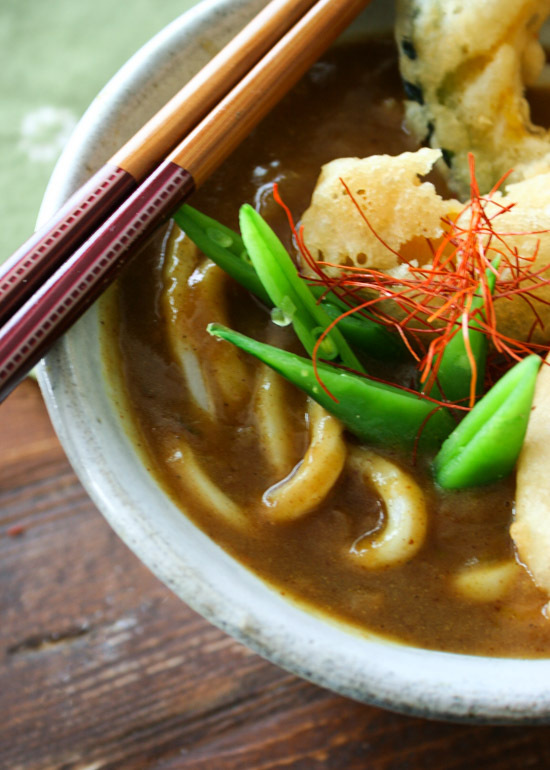 Curry Udon is one of the ultimate comfort foods in Japan in my opinion. 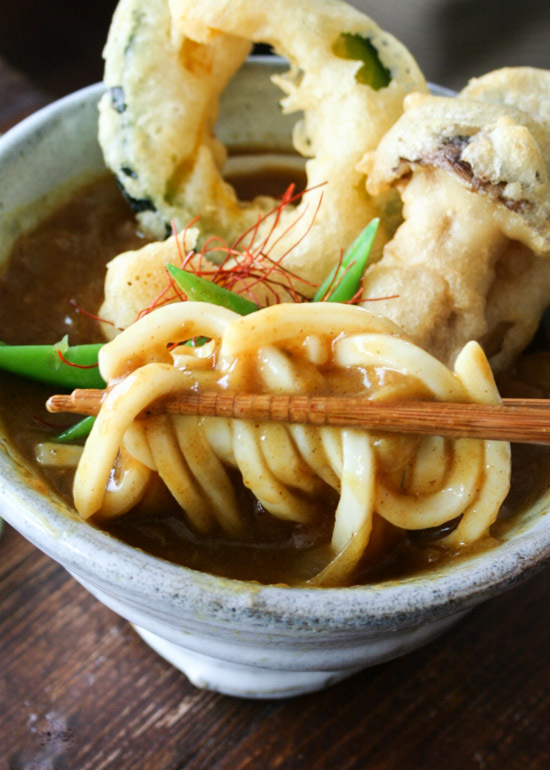 The Japanese curry soup is rich and so flavorful, and the udon is thick and chewy. 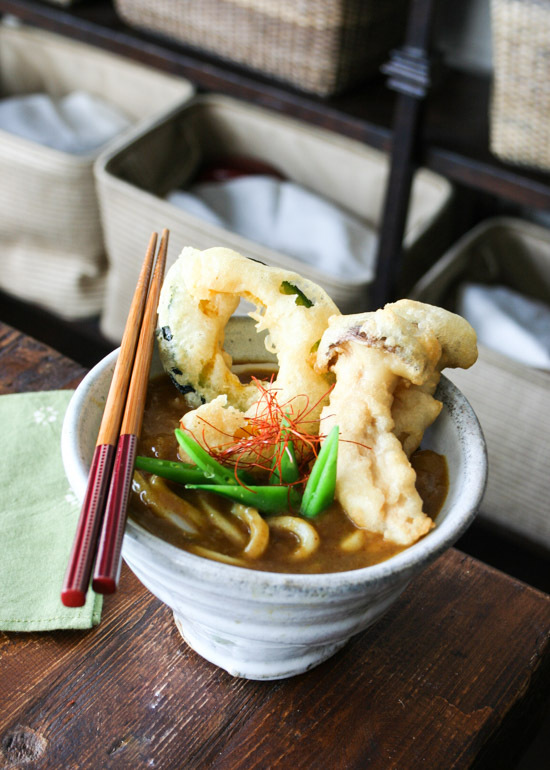 I can eat just that, but today I wanted my curry udon a bit special, and I made tempura. 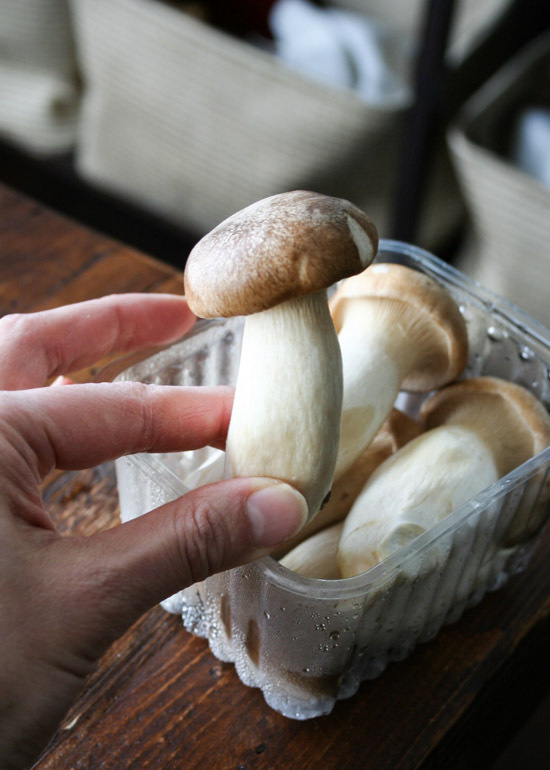 I found these mini king mushrooms (if they are king’s babies, are they supposed to be called “princes”??? 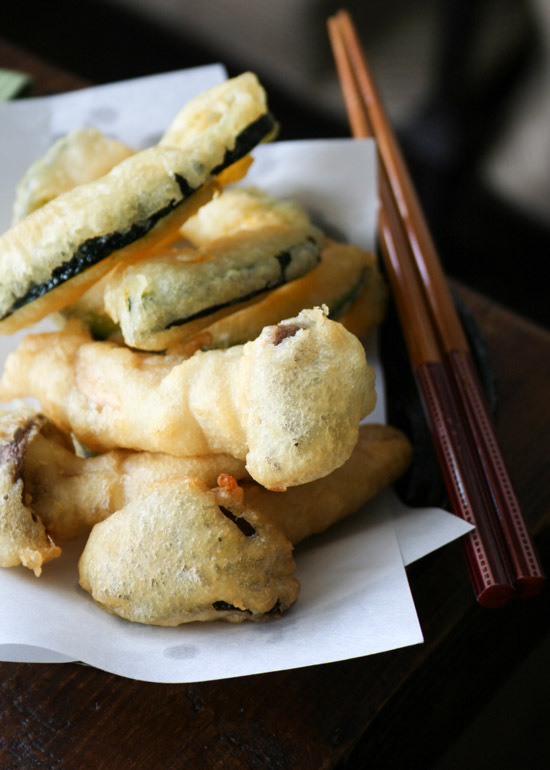 lol) at the local Asian grocery store, and they were made into tempura along with kabocha squash. 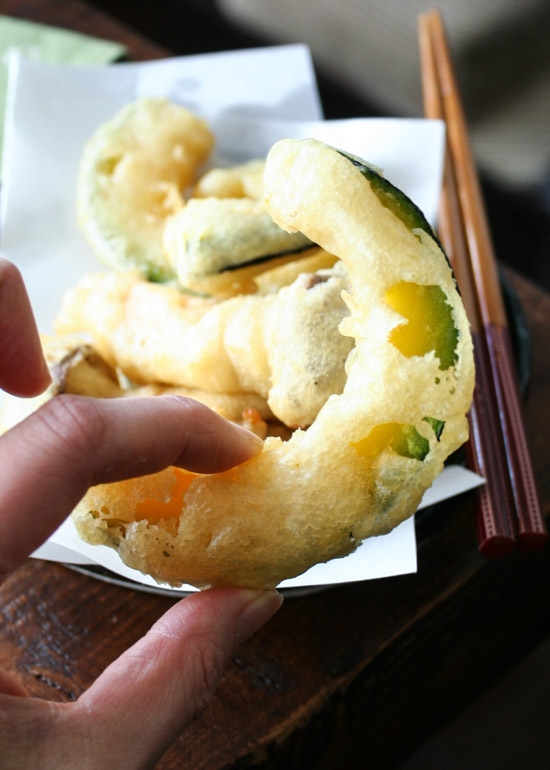 I like almost any vegetables when they are made into tempura, but kabocha is definitely one of my favorites (eggplant tempura is another good one). This was written by Reiko Tanaka. Posted on Friday, February 1, 2019, at 11:13 pm. 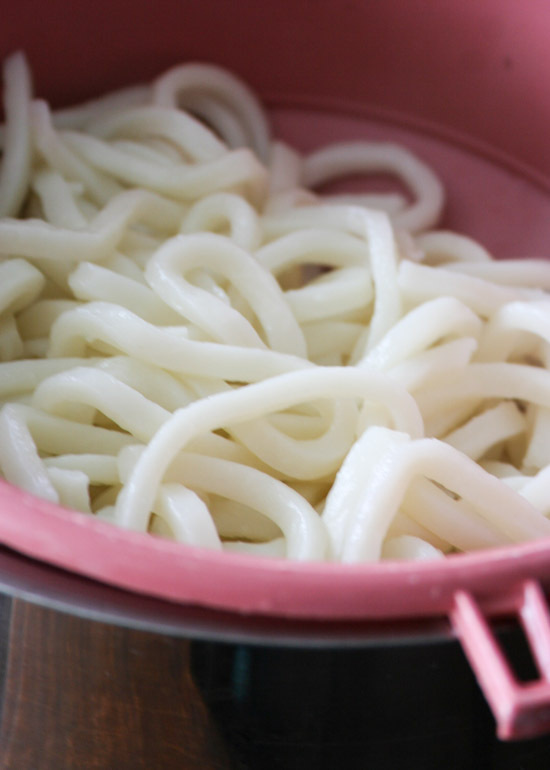 Filed under Noodles/Pasta, Potatoes/Squash, Soup/Stew. Bookmark the permalink. Follow comments here with the RSS feed. Post a comment or leave a trackback.